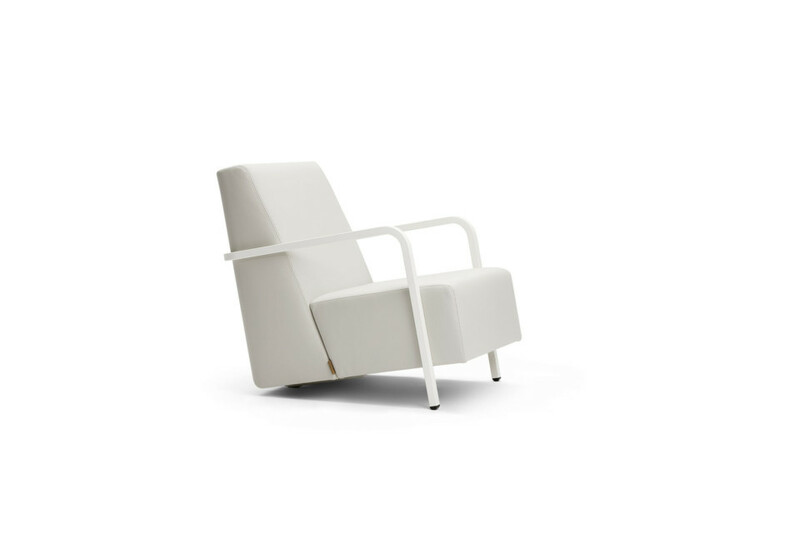 The model Bertus was designed for Durlet by Belgian designer Alain Monnens, and the armchair is clearly the result of mixing Alain Monnens design philosophy and power with Durlet’s know-how, craftsmanship and experience. The design gives evidence of Monnens’ no nonsense and pure way of designing. Bertus distinguishes itself by its outer frame. 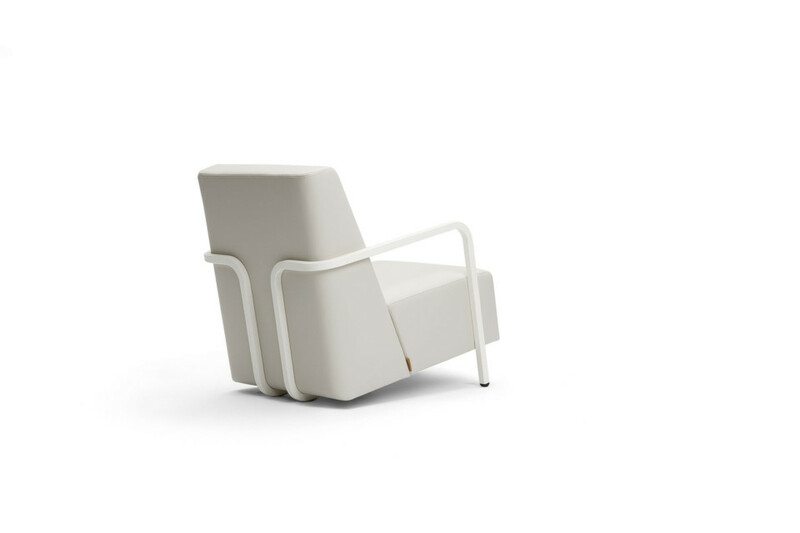 This approach is not only useful for the constructional function but the frame also serves as armrest, as supporting element, and is the dominant aesthetic element. The metal pipes of the frame are square but look fluent and are bent at angles of 90 degrees only, and literally hold the cushions captive. These cushions feature a double quilting seam that discreetly accentuates the lines of the model and the frame. Not adding elements but on the contrary integrating them was the starting point, since designing is for Alain Monnens the art of reducing. 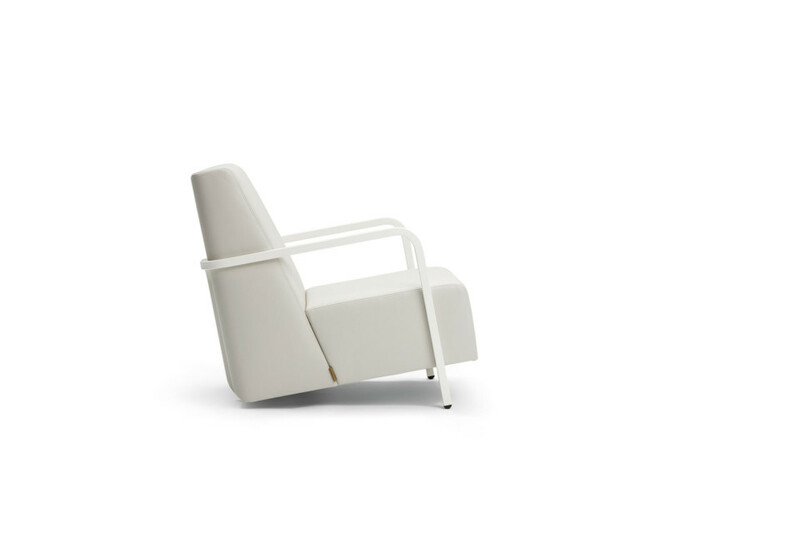 Starting from this position, Durlet managed to create an armchair that is not only good looking, but also is finished up to every little detail to accentuate those lines and to sit extremely comfortable. Resulting in an armchair that at the same time looks innovative and normal. Bertus is available with three possible frame colours: black, white or grey. “All products that have won an award in the red dot design award had to convince an international expert jury of their quality. The products stand out from the masses with their excellent design and innovative approaches and proved their quality in one of the toughest design competitions worldwide,” explains design expert Professor Dr. Peter Zec, initiator of the red dot design award. This year, designers and companies from 57 nations with a total of 4,252 products took part in the “red dot award: product design”. Together with the other award-winning products, Bertus will be on display from 6 July to 1 August 2010 in the exhibition “Design on stage – winners red dot award: product design 2010” at the red dot design museum on the premises of the ‘Zeche Zollverein’ World Cultural Heritage Site in Essen. After that it will be presented in the red dot design museum’s permanent exhibition for at least one year. With approximately 1,500 products on more than 4,000 square metres, the red dot design museum houses the largest permanent exhibition of contemporary design worldwide. Today, the red dot design award, the origins of which go back to 1955, is the largest and most renowned design competition worldwide. It consists of the individual disciplines “red dot award: product design”, “red dot award: communication design”, and “red dot award: design concept”. In 2009 the competition recorded about 12,000 entries from more than 60 nations.